Google announced last week that it is rebranding the Android Wear platform to Wear OS. This was done mainly for iPhone users that may have thought that Android Wear was only available for Android phones. 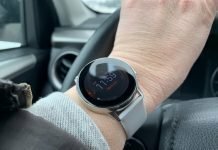 Several Android Wear watches will receives the new branding within the next few weeks, including the Ticwatch E which I reviewed and recommended a few months ago. So far my only experience with Android Wear, well I guess I’ll call it Wear OS from now on, is the Ticwatch E but the experience is pretty much the same across all smartwatches running Wear OS. Wear OS reminds me of Microsoft. There’s zillions of computers of different brands that run the Windows OS. There’s many advantages to that because there’s no need to learn a new operating system for each brand but having one dominant operating system can stifle innovation. Just because it’s the most widely used OS doesn’t means it’s necessarily the best or as good as it could be. I think Wear OS is very good but it could certainly be improved. My first smartwatch was the Ticwatch 2 which runs the Ticwear operating systems developed by Mobvoi. I still think Ticwear OS is more attractive, intuitive, and practical over Wear OS by leaps and bounds. Its only major flaw was that it wasn’t able to run Android Wear (Wear OS) applications. It just didn’t have enough users to encourage large companies to develop apps for it. I find Wear OS capable and powerful in the sense that it supports some great apps that I enjoy using like ViewRanger, BackCountry Navigator, MapMyHike, and of course Google Maps and Google Assistant but I’m not crazy about the menu system and the lack of quickly accessible information. 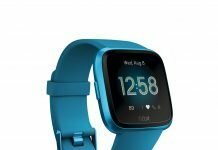 For example, with the Ticwatch 2, I could swipe down on the screen and access a number of widgets quickly, such as my health stats of the day, weather, etc,. 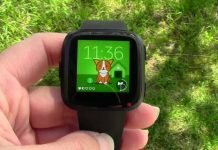 I really miss that on the Ticwatch E.
Personally, I wouldn’t mind if Wear OS learned from what Mobvoi did with the Ticwear OS and improve their system. Android Wear, now Wear OS, just feels bland to me but worse than that it’s kind of clunky to use. I don’t want to go through a long menu to get to the app I want to use. My preference would be to have widgets for my favorite apps like the Samsung Gear Sport has. It’s so much more convenient and practical. But beyond all of that I’d love to see improved battery life. I still recommend the Ticwatch E to anyone interested in Wear OS and a feature-packed smartwatch but I still wish it had better battery life. After researching a number of Wear OS watches, none of them can squeak out more than 1-2 days before needing to be recharged. Many can barely get through 24 hours. That needs to improve. If Google could optimize Wear OS to get closer to 3-4 days of battery life, I’d jump for joy because I love using my Ticwatch E but I don’t like charging it every day. The final thing I’d encourage Google to do is to add in some character. It’s seriously lacking from Wear OS. If you’re familiar with the Pebble Time, you’ll know what I’m talking about. That watch has character and that’s what I, and many others, love most about it. Give Wear OS a personality and it’ll make up for its rather uninspiring looks. Better yet, give it personality, looks, and a smarter more intuitive user experience and Google will have itself a winner for sure. Oh yeah, and throw in better battery life too. 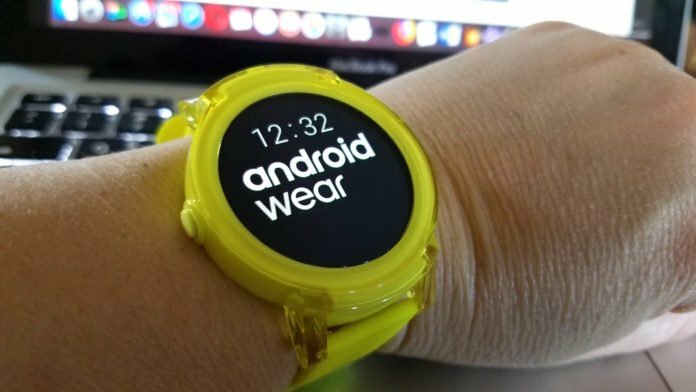 What improvements would you like to see for Android Wear / Wear OS?